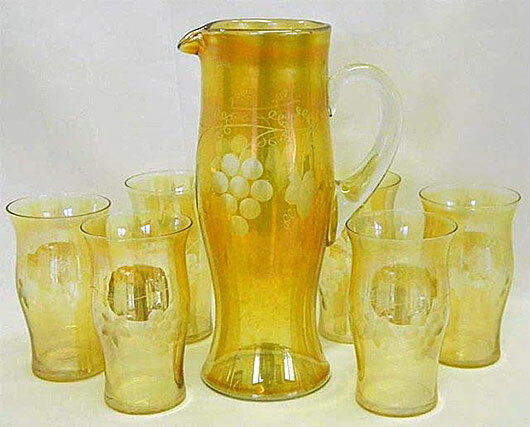 Little known about this pattern other than that this marigold water set sold in 2013 for $140. A similar set sold the same year for $30. In 2016, a water pitcher in this design sold for $15. The pattern is etched into the glass. Photo courtesy of Seeck Auctions.